* Hover your mouse over the map to see colors. 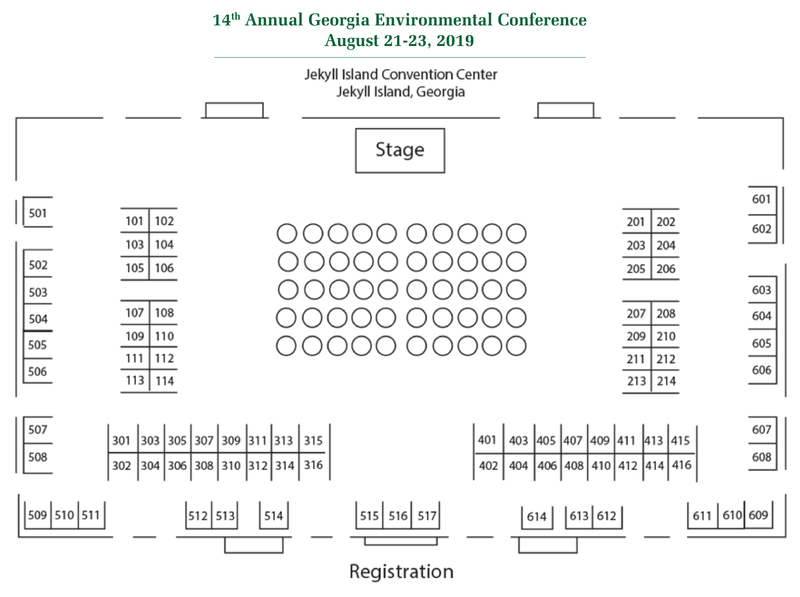 If you do not see any “Available” (green on the diagram) booths, the 2019 Exhibitor program is sold out. If you would like to be on a waiting list for a booth (pending a cancellation), please contact Jill Geraghty.